Every school has its own culture. There are four words that represent the spirit of Feng Chia University: dedication (忠), diligence(勤), sincerity(誠) and action(篤). When students come to Feng Chia University (FCU), they learn that there are three school activities that show these aspects of FCU culture. There are three traditional activities in FCU. The annual Tug-of-War contest began in 1970. It was held at the Feng Chia basketball ground every November. In the beginning, it was just a fun activity to promote students diligence. Afterwards, for the honor of being the champion, students in every department started training their skills, and upperclassmen passed their skills – and FCU culture – down to the freshmen. This contest is still an annual tradition. At FCU, another meaningful activity is blood donation. Every semester, students will see blood donation vehicles parked beside the student activities building, and both students and teachers participate by donating blood. 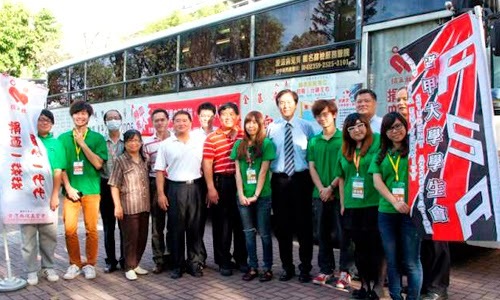 This charitable activity began in 1976 when FCU students began going to Taichung hospital to donate blood. They did this because they wanted to help people in need. The school didn’t know about this activity until the students’ generosity was publicly recognized by the hospital. In order to continue this spirit, the school decided to hold blood donations on campus every year so that more and more people could participate and so that hospitals wouldn’t run out of blood. From then on, blood donations increased every year, and now blood donation is a FCU tradition that teaches us to make haste in doing good and reminds us to be sincere and active. The other interesting campus activity is the yearly ''campus run.'' Feng Chia University has held its campus run every December for 14 years. The activity attracts students, teachers, administrators, even people from the surrounding neighborhoods. The campus run promotes health and strengthens relationships between people in the FCU family and between the school and the community. Every year there is a special theme. 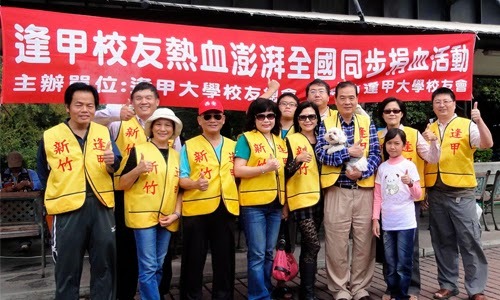 This year's theme was ''reject cigarettes, prevent AIDS, and love exercise.” The race route starts at the FCU main gate, circles the old Taichung airport next door, and returns along the same route back to the main gate. The run is 5 km long, and it’s not that easy to finish! 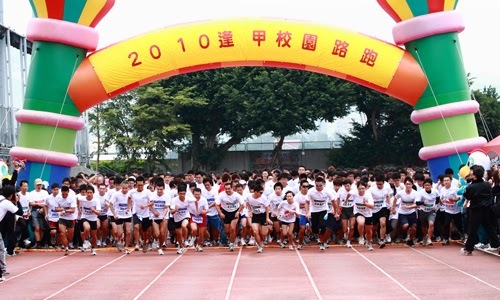 The school hosts this running event to teach students two things – that actions speak louder than words and that diligence is necessary for success. The Feng Chia University Tug-of-War, blood donation drive, and campus run are all good opportunities to learn things that we can’t learn in a classroom – that the Feng Chia spirit of dedication, diligence, sincerity, and action will make us strong and prepare us for success. We hope you will join us next year!